Hi guys! I just got my shipping notification for my latest Beauty Quartet box yesterday, so I figured I had better get to sharing some of the ones from the Winter Break box. The Beauty Quartet box is a bi-monthly indie box featuring 4 polishes, and 4 beauty extras! 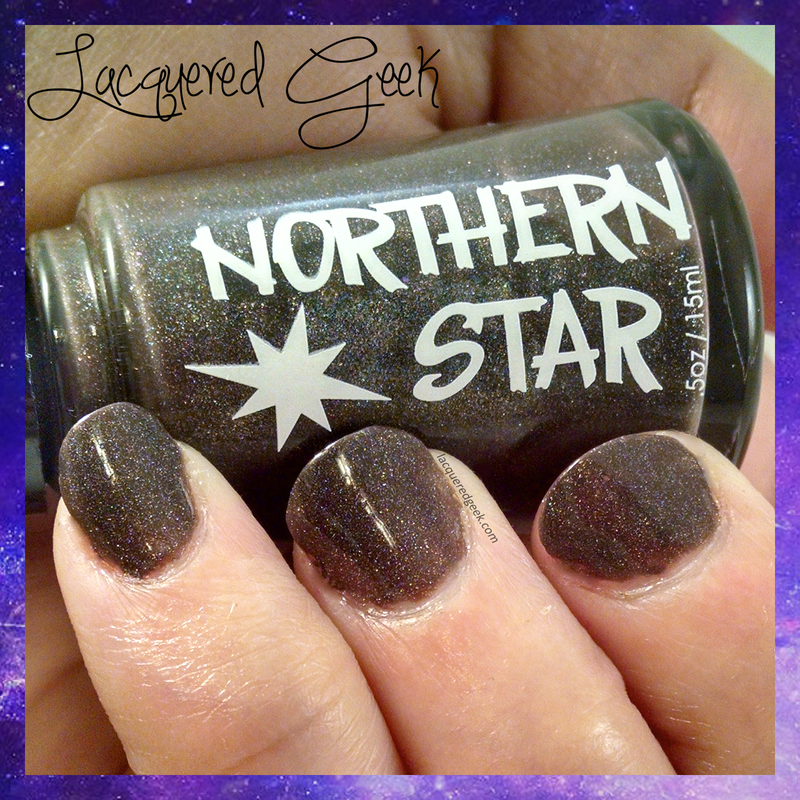 Today, I have "Reindeer Games" from Northern Star to share with you. 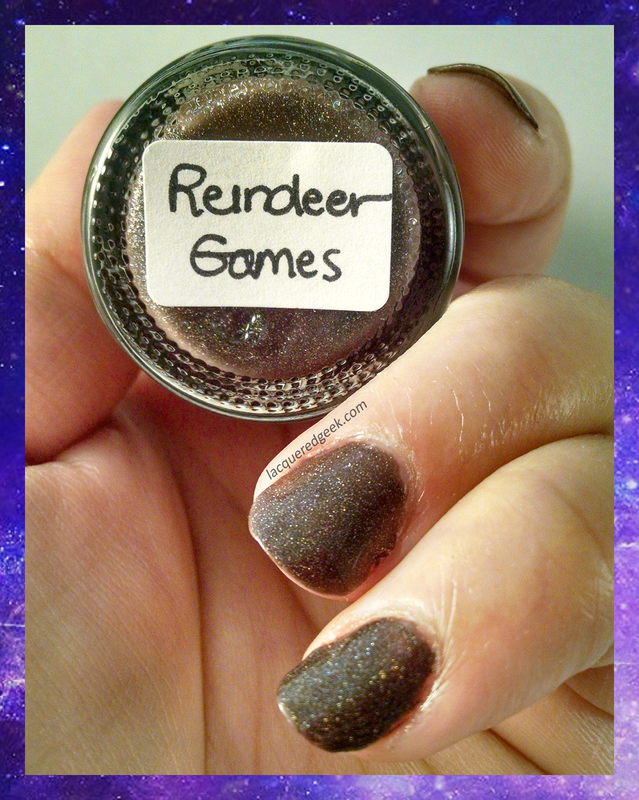 Reindeer Games is a dark brown linear holo with flashes of green and purple. I found the holo to be very subtle, even in direct light. These photos were taken inside (I swatched and photographed the polish early in the morning), but the holo was still fairly subtle in the sun. The formula was a bit on thicker side. I am used to most holos that I have being on the thin side. Because of this, I had some difficulty getting the right amount of polish. It might have been too early in the morning; it was almost like it kept changing on me. 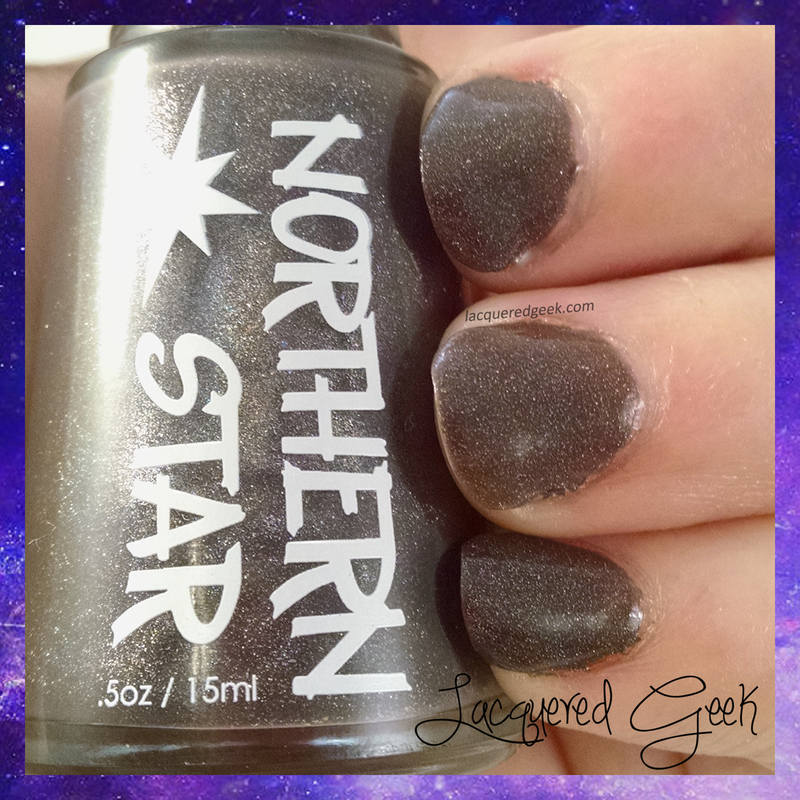 I used 2 coats (varying in thickness!) for these photos. 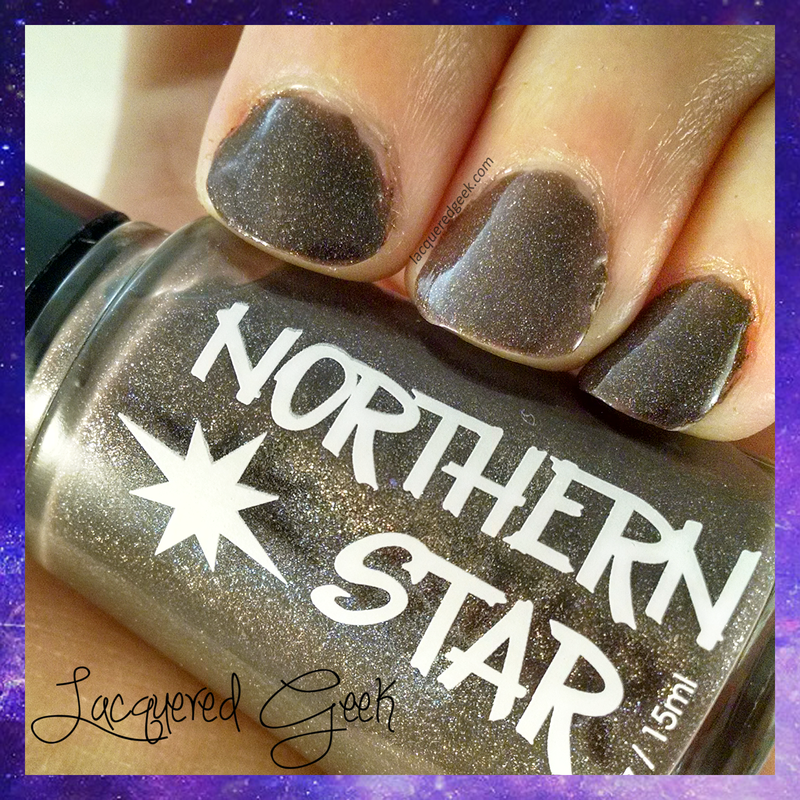 I did not use a top coat for these photos; the polish dries shiny on its own. I cannot wait until I get the next Beauty Quartet box, and I really need to stop hoarding all of the beauty extras that come with it!